Metro Cars offer guests pre-booked airport transfer rates from just £11.50 to either terminal. Starbucks refreshments available 24 hours - Free WiFi in public areas for first 30 mins. Ideally located close to Gatwick Airport as well as the town of Crawley and is easily accessible from both the M23 and the M25. A pre-authorisation of up to £50.00 is required upon arrival. This deposit is fully refundable 7-10 days after check-out provided no additional charges have been incurred. 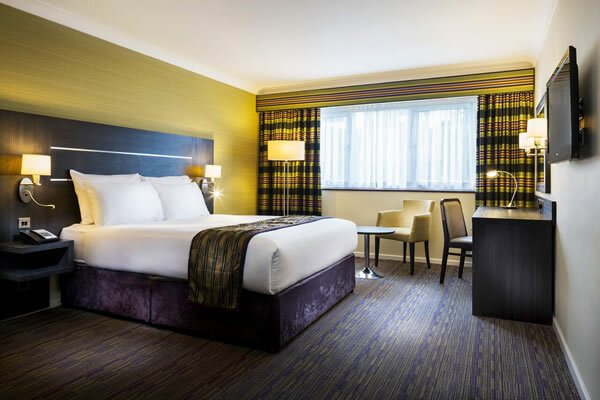 En suite, LCD flatscreen TV with Digital Freeview Channels, WiFi (additional charge), Tea and coffee making facilities, Direct dial telephone, Hair dryer, Ironing facilities, Disabled rooms available on request. Exec. rooms and suites also have a Safe, Mini bar (charged), Use of Robes and Slippers, complimentary Mineral Water and Chocolate Bar, Enhanced Toiletries. Three brand new spacious accessible rooms have been designed for convenience to make your stay comfortable, available on request. The hotel does not have a transfer bus. Customers can pay for taxi, cost approx £11.50 or £18.50 depending on number of passengers. Customers can pay for taxi, cost approx £11.50 or £18.50 depending on number of passengers. 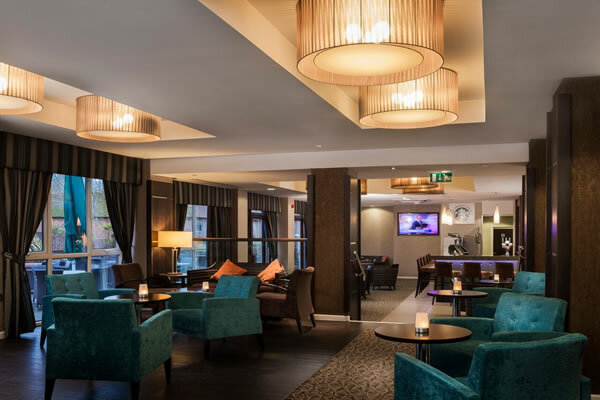 Lyttons Bar & Brasserie, newly refurbished open-plan restaurant and lounge bar. Serving buffet English and Continental breakfasts, light meals throughout the day and A la Carte Dinners. Room service is available 6am to 10.30pm on weekdays, and until midnight at weekends. There is a tray charge of £3 Children under 13 eat free on dinner and breakfast packages. Located next to the full service Nuffield Health Gym, with a swimming pool, a gym, a sauna and a steam room next door to the hotel. A pass costs £6 per adult and £2.50 per child. Family rooms - Maximum age of a child in a family room is 16 - children share free - Triple Rooms will be a room with a double and a single bed. Dinner packages include a choice from the table d'ote menu. Children under 13 eat free on dinner and breakfast packages. Very suitable for Gatwick airport. However, taxi fare to the airport was more expensive than standard taxis bacxk from the airport. A difficult place to find! The sat nav just Packs up and had to go into a nice pub to ask for directions. Once found though the place was fine, don't feel too happy about having to go through a credit card scenario again as had paid 6 weeks ago. Parking very difficult on arrival, 1 space on a pile of rubbish and dumpy bags. Stayed here many times over the past few years since its refurbishment and it is still maintaining its spotlessly clean rooms and friendly staff, particularly the front desk. I have only given 4 stars because of the sound-proofing of my room which was quite poor. I believe the people who occupied the room above mine were totally inconsiderate, coming in to their room at 1.30am and moving most of the furniture by the sound of it. They also turned up the tv, shouted to each other over its noise, and then continued laughing and talking loudly for at least another couple of hours..... perhaps not the hotelâs fault, but it could have been better. Lovely hotel. Room just right temperature with comfy bed. Staff very polite. Very easy to park and then collection easy too. Very good hotel. Pleasant staff, very helpful. Would have no hesitation in staying there again. The hotel is quite a distance from Gatwick airport in an out of the way location, this means a taxi both ways to and from the airport and on our return the taxi company seemed unaware of collecting us. The room was comfortable and OK for an overnight stop. The food in the restaurant was not brilliant and we were disappointed also it was somewhat overpriced. As we are used to meet and greet air port parking we did not find this at all convenient so we will not stay there again. Excellent value for money for an overnight stay and 8 days parking. Efficient taxi service. Excellent service, no problems whatsoever. Everything was straight forward and the hotel was really nice and comfortable. Easy to find and check in. Room excellent quality. Receptionist a little abrupt when asking why we werenât parking at the hotel for our holiday, had to explain that we were using meet and greet service at the airport. Stopped over for 1 night prior to an early morning flight with pre-arranged parking. Service was good from reception staff. The room was clean and perfectly adequate. We didn't use the restaurant. On our return the car had been moved but was fine. Taxi transfers to and from the airport worked well enough. The price for the stay/park package was very reasonable. Based on our experience we would recommend and would definitely use again. Nice new clean hotel not far from the airport. Would stay again. I have stayed here several times at the beginning and end of our holidays. Reception staff have always been welcoming and helpful, booking taxis to the airport etc. The rooms are always spotless and breakfast has always been good.. Brilliant overnight stay in this hotel. It made travelling to Gatwick so much easier on the day of our holiday. The staff were very friendly and helpful and made our stay so much easier. I will be staying here again if I ever fly from Gatwick. Stay was comfortable. But to reach the hotel I had to drive at night through a stretch of 2 miles which was pitch black dark and this stretch was close to hotel. I was not happy with car parking. I parked in a bay, but when I collected it was parked in a different bay and when returned home I noticed there was a long scratch on both doors. I am very unhappy with it. I could not report it because I noticed at home only.I cannot understand why it was decided to move my car. A pre-authorisation of up to £50.00 is required upon arrival. This deposit is fully refundable 7-10 days after check-out provided no additional charges have been incurred. Coming off at Junction 10 from the M23, follow the signpost to the A264 for East Grinstead. At the first roundabout head straight over, you will then shortly arrive at another roundabout. At the Copthorne roundabout take the 3rd exit (last exit) sign posted for Three Bridges on the A222. Proceed down Copthorne Road, at the roundabout take the first exit onto the Balcombe Road, continue down this road past the Hillside Inn pub on your left. Approaching a mini roundabout, take the first exit onto Turners Hill Road. 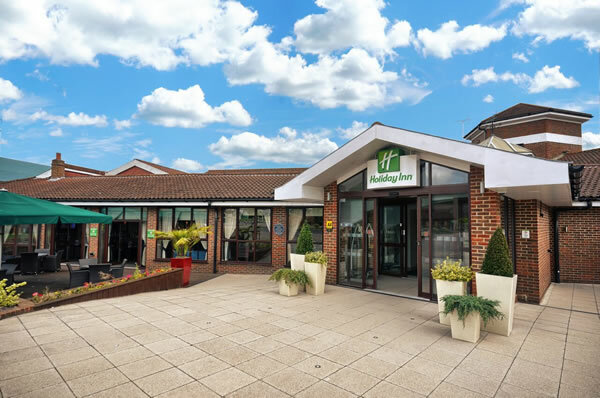 Travel along Turners Hill Road, after the Flyover take the first left into the Holiday Inn London Gatwick Worth which is situated 100yards on the first exit on the right hand side. From the Copthorne Roundabout the Holiday Inn London Gatwick Worth has brown signposts along the route. Parking is on site at hotel. Overnight Parking will be chargeable at £10 if you have not booked an on site parking package, youll need to give your keys to the hotel in case your car needs to be moved into the long stay area of the car-park whilst youre away. Dinner packages include a choice from the table d'ote menu. When dining from the a la carte menu in Lyttons Brasserie children eat free. Children under 13 eat free on dinner and breakfast packages. 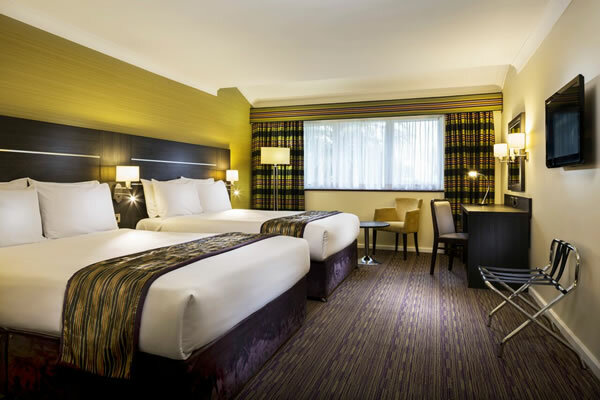 Is there a dinner package at Holiday Inn Gatwick Worth with park and fly?Thank you for your email. Currently we do not have a dinner package with the hotel, this would be paid for direct to the hotel at time of stay.